The vacancy was astounding. Even as Raider Nation filled the stands of nearly every boys basketball game, the stands of the East Gym of Huntley High School remained mostly empty during the 2012-2013 girls basketball season. There was no sea of red and black, no student section, and no chanting. But one thing is for sure. There’s something different about the Huntley High School girls basketball team this year. The stands are a little less empty, the crowd is a little bit louder, and most importantly, there’s a winning atmosphere surrounding the team. Maybe it was the electrifying enthusiasm of every member of the team last year, even the “bench squad.” Maybe it was the pure devotion of coaches, players, and administration alike. Maybe it was the surprising string of postseason wins, pushing the team to a fourth-place finish in the state. But no matter the reason, there’s a common denominator: the Andrews sisters. Sam and Ali Andrews are the backbone of the girls team, the glue that keeps the team’s recent dominating play from falling apart. The Andrews sisters led Huntley girls basketball to its most historic season. This is the story. In the familiar atmosphere of Huntley High School’s East Gym, the girls basketball team welcomed an unfamiliar face. It was the 2012 transition between fall and winter, the time when the winter sports season gets its start. The 6-foot-2-inch frame of freshman Ali Andrews was a welcome sight for a team looking for the spark that will propel it to a season unlike any before. With Sam’s production the previous year, a second Andrews sister would be invaluable. In previous years, girls basketball had always been in the background of the school. Sometimes it had success; sometimes it didn’t. But no matter the year, the team never received any recognition and never achieved anything extraordinary. It was time for a change. It was time for the team to do something different. And at the heart of that transformation were Sam and Ali. There was never any doubt Ali was going to be flawlessly integrated into the team’s infrastructure. Sam had been before her. And there was something different about this group. There was chemistry and an uncanny ability to understand each other, an ability that would prove particularly useful in the upcoming season. But perhaps the most important aspect of last year’s girls basketball team was the camaraderie. The team always came together. Not as teammates, but as friends. On the bus ride home after winning the sectional championship game, the team passed around cans of Mountain Dew and blasted the song “Wobble” by V.I.C. With the music in the background, the girls danced and sang. They celebrated. Because together they made history; because they came together as one to do what no other Huntley team had done before. It was a crucial part of the team dynamic. And a crucial part of the development of Sam and Ali as basketball players. Teamwork is a deadly weapon, but as Huntley would later find out, it wasn’t one that can’t be overcome. Perfection is elusive. It’s almost non-existent. And that fact took shape for Huntley on Feb. 5 in its loss to Cary Grove. After a long, evenly-fought battle, Huntley was able to push the game to overtime. However, with Cary guard Olivia Jakubicek posting a walloping 21 points, the Trojans proved to be too much for the Red Raiders. This was the biggest loss of the season. It acted as a reminder that nothing is given. That there were teams out there that could easily handle them. That there was always room for improvement. Although it was unpleasant, it was a crucial point in the careers of Sam and Ali. Athletic ability isn’t purely genetic. That much has always been clear. But when someone comes along who changes the game, who outplays everyone else, all eyes turn to the family. The Mannings. The Griffeys. The Hulls. But not the Andrews. While Sam and Ali’s skill with a basketball propels Huntley to new realms of athletic achievement, it shows no evident hereditary roots. Neither of their parents played high school basketball. And despite their mother’s experience as a runner in high school, there was no indication from their parents that Sam and Ali would make such an impact in the sport of basketball. Nevertheless, there’s something to be said about family bonding. Spending every day with someone creates a connection, an understanding of each other that cannot be formed anywhere else. And that same principle shows whenever Sam and Ali step onto the court. The sisters first began their athletic careers together while playing travel basketball with the Midwest Elite. And when a reunion proved to be a necessity in high school, the chemistry built over those years was sure to be transferred over. And it has. Every game, Sam and Ali make a difference. Not just individually, but as a unit as well. They show a unity that has proved to be dangerous for any team that crosses Huntley’s path. At the Belvidere North Regional, the stands still remained void of Huntley fans. Principal Dave Johnson and athletic director Michelle Jakubowski were two of the few familiar faces supporting the team. 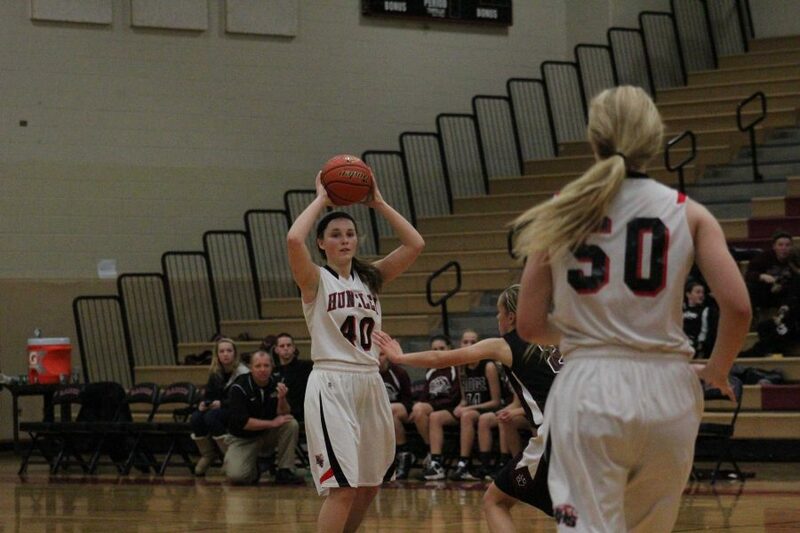 Nevertheless, Huntley made quick work of DeKalb in the regional semifinals, led by Ali’s 18 points and Sam’s 13. That meant Belvidere North was next. 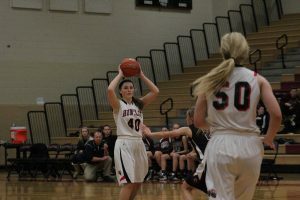 There were doubts, but Huntley took a commanding 60-41 victory. Once again, Sam and Ali led the team in scoring. “Our players did a great job of putting the disappointment of the last two regular season games behind them and focusing on what they needed to do collectively and individually to make a successful postseason run,” said Raethz. Then, as Huntley was preparing for its game against Harlem, it received some encouraging news about its biggest rival. On Feb. 18, the day before Huntley’s semifinal game, Cary Grove fell to Streamwood in a heartbreaking 45-44 loss. Things were beginning to take shape for Huntley girls basketball’s first sectional title. Huntley used its size advantage against a seriously undersized Harlem team to propel itself to a 46-37 victory. As the news spread around Huntley High School, there was an unfamiliar buzz. 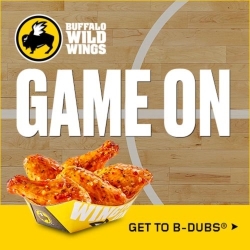 For once, people were talking about girls basketball. At the sectional final, a fan bus brought a group of students to Rockford East. Raider Nation was actually at a game. The team was finally receiving recognition. And it didn’t disappoint. After Huntley pulled off a 45-41 win, fans stormed onto the court. In celebration, each member of the team cut off a piece of the net. As Sam stepped up the ladder, everyone on the court watched as they realized what had just happened. Huntley had just made history. And Sam and Ali were at the center. Everything is for the team. At least it is for Sam and Ali. While they continuously lead their team to victory, Sam and Ali are quick to redirect any praise they are given. Whenever asked about their role in helping the team win, they immediately give credit to their teammates. With last year’s relationships between teammates, it’s no surprise that Sam and Ali have taken up this mentality. That’s why they look to their teammates before going to the basket themselves. And it also explains why they led the team in assists in addition to points. Becoming the icon of a team often entails taking the reins and carrying the team yourself. But becoming a truly great player entails helping your teammates and doing whatever it takes to win. Sam and Ali aren’t icons; they’re great players. And players like this have the power to lead their team to the kind of success Huntley found last year. You could smell it. The history in the air. It was something Huntley athletics had never seen before. The win at sectionals was history in itself. But when the opportunity came to take the super-sectional game against Wheaton Warrenville South, Huntley wasn’t going to pass it up. Of course, it was a challenge, especially when guard Meghan Waldron put up 23 points and five rebounds. But nevertheless, Huntley pulled out a 47-43 victory and advanced to the state finals. “We knew we just had to hold them and play really hard and we would be able to come out with a win,” said Ali. Red Bird Arena was nothing like the girls’ home court back in the East Gym of Huntley High School. It was big and radiated a sense of professionalism. It was a new atmosphere for Huntley basketball; it took the game to the next level. “It was very exciting,” said Sam. Unfortunately, things didn’t play out well for the Red Raiders in the state tournament. Rolling Meadows defeated Huntley 61-44 in the semifinal game and Whitney Young pounded the Red Raiders for a 60-27 victory. Nevertheless, the experience at state was great for both Huntley High School and the players’ development. There’s no question Sam and Ali took a lot from those players in Bloomington. There’s a thin line between success and failure, winning and losing. And Huntley trekked that line for the entire postseason last year. Every game was the unsurpassable challenge. Belvidere North. Harlem. Streamwood. Wheaton Warrenville South. Of course, that challenge finally took the face of Rolling Meadows, Huntley’s historic postseason run was something that nobody expected. There’s no doubt that the Andrews sisters played a huge part in that success. They led the team in points (15.7 each), rebounds (7.3 for Ali and 5.8 for Sam), and assists (2.1 for Ali and 2.4 for Sam). Both Sam and Ali were AP Honorable Mention All-State. Sam was a third team IBCA All-State selection and Ali was a fourth team IBCA All-State selection. It’s hard to imagine Huntley achieving the same success without their production. As Sam’s final season at Huntley rolls on, the team is sure to make the most of it. It only seems practical to go for the gold while the dynamic duo remains.